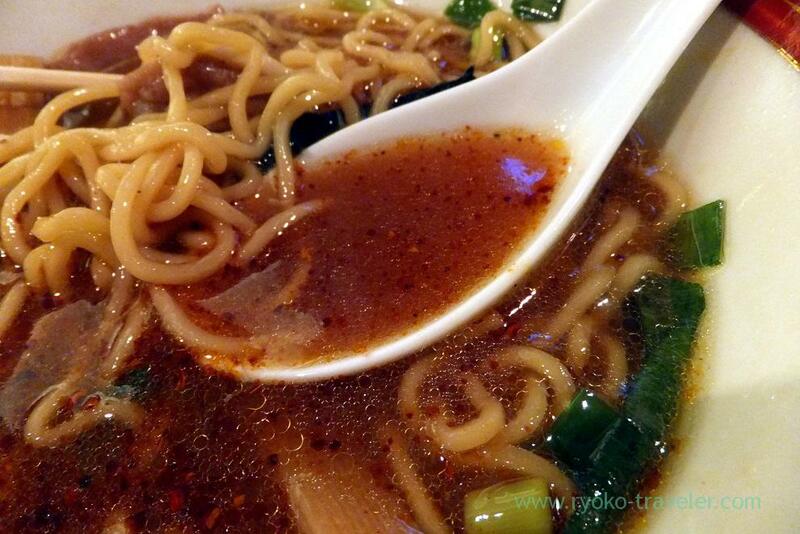 Ramen is my delight,and soy sauce soup ramen is best for me among them. 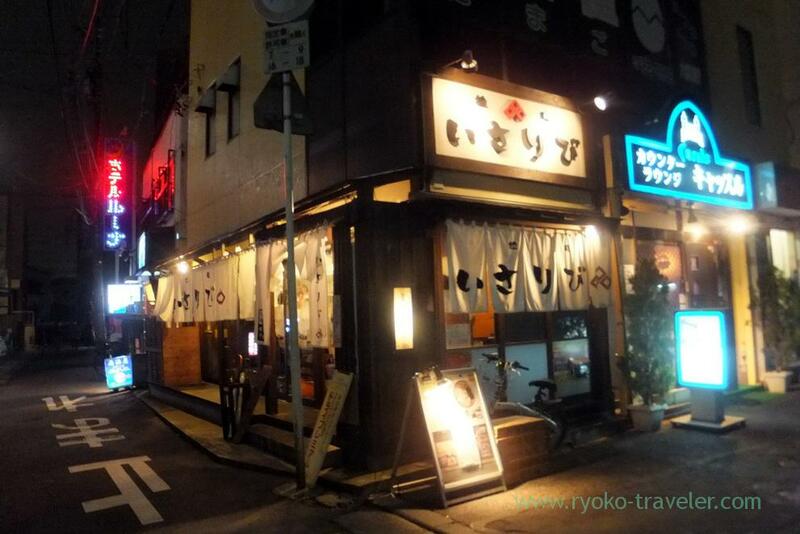 I heard Ramen Isaribi located in front of Funabashi station. Though it is in front of large station, it stand in quiet area. They serve one flavor of soup only. Of course, soy sauce soup. They try to serve simple and old soy sauce ramen. Ticket vending machine is at the door. The shop is so narrow like bed of eel. There’re long counter seats only. 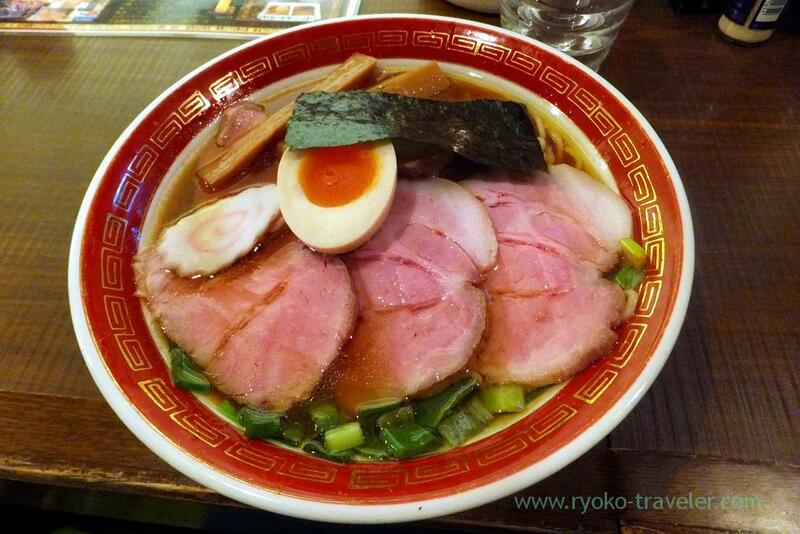 I ordered ramen (ラーメン, 800 yen). 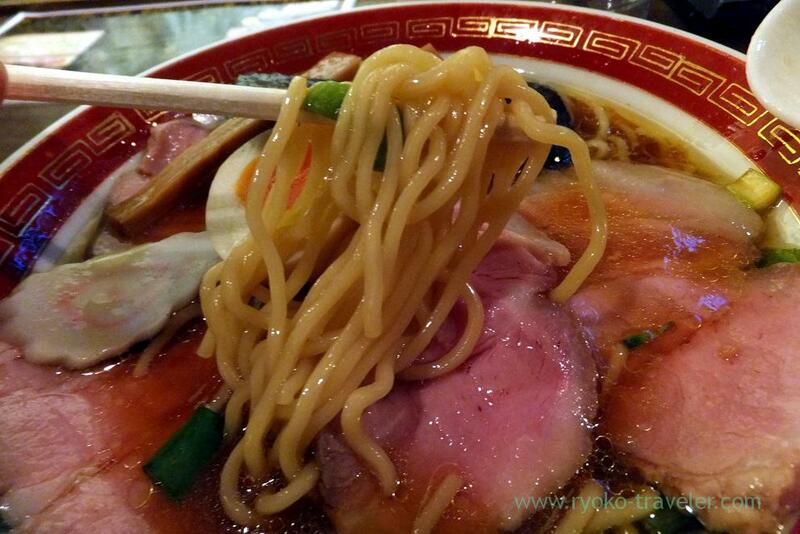 They buy noodles from Asakusa Kaikaro (浅草開花楼) and use it for their ramen. The curly noodle go with the soup well. There’re white pepper, black pepper, yuzu pepper, raayu (chili oil) , grated garlic and so on. The raayu is their own made. 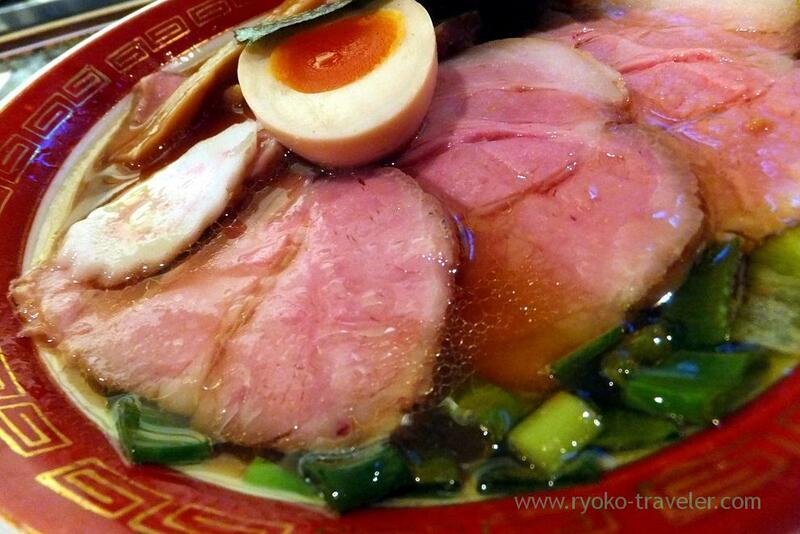 And this raayu is good for this soy sauce soup !